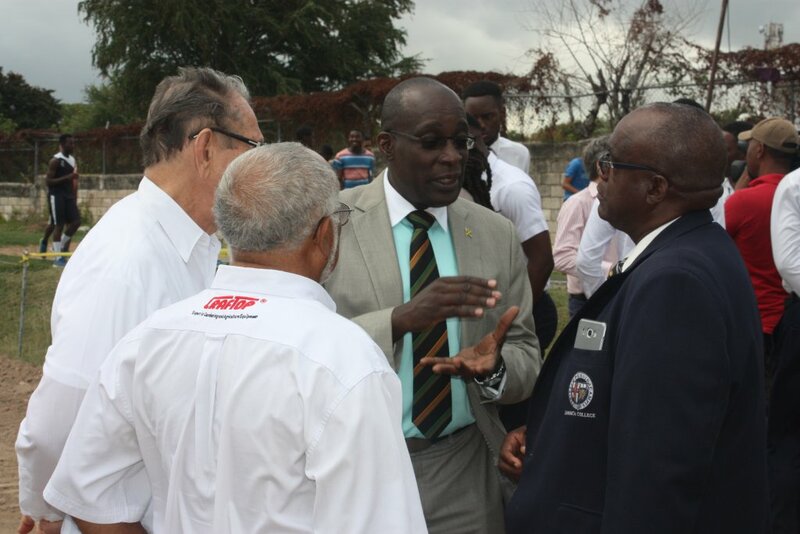 To catalyse the transformation of Jamaica College into a first class institution of learning and physical development which moulds young men into thoughtful, well rounded leaders of society. To influence and facilitate the creation and maintenance of a physical environment which features such grounds, structures and facilities as will embed in the young men a sense of being in the presence of excellence, grandeur and history and motivate them to conduct themselves accordingly. To raise and secure the funds and resources necessary to assist the School’s Administration and Board of Management to achieve these ends. What are the Old Boys (JCOBA) up to? The Officers of the JCOBA consists of a President, Vice-President and a Treasurer. All Officers must be alumni, i.e. 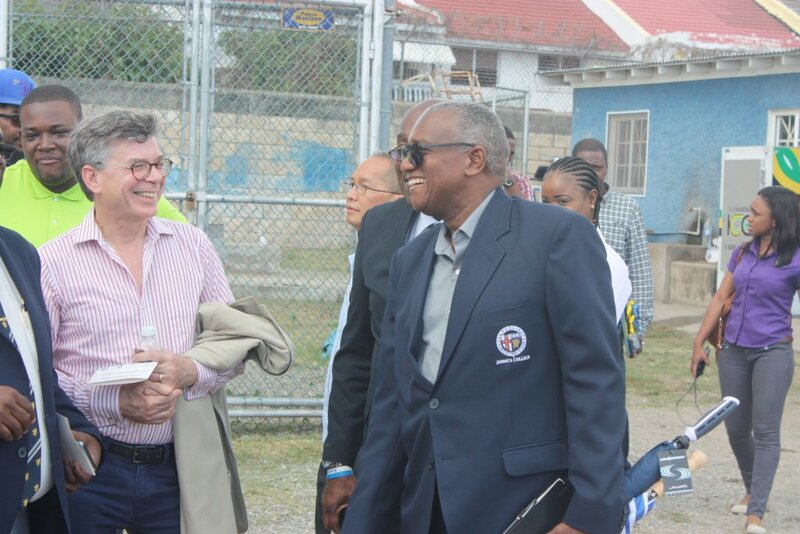 persons who have attended Jamaica College and are no longer registered as students of the School. The President provides leadership for all aspects of the alumni’s operations. The Vice President acts in the capacity of President in his absence. The Treasurer is responsible for maintaining all financial records. Mailing Address: 189 Old Hope Road, Kingston 6, Jamaica W.I. 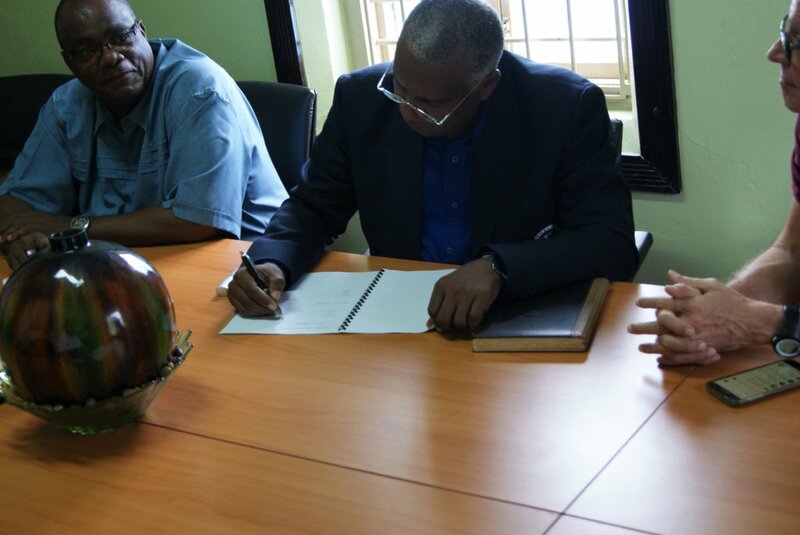 Other Major donations include: Multimedia projectors, Computers, Laptops and more ICT equipment, of which JC is extremely grateful. 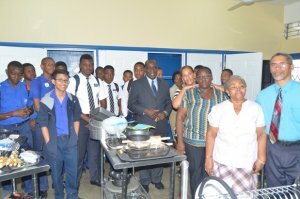 With the compliments of Philip Gore and the Appliance Traders Group (ATL), the College was presented with a Food and Nutrition Lab facility on March 6, 2013. In keeping with global trends and emerging non-traditional opportunities for employment and advancement, the foods lab is a step in the right direction. At present, the local culinary landscape has been dominated by Old Boy and Chef-du-Culinaire Brian Lumley. Though Lumley’s training was not received at JC, his drive to succeed in this arena is a positive source of encouragement for current students. If Lumley’s success is any indication of what a culinary programme at Jamaica College could offer, then the prospects are tremendous. 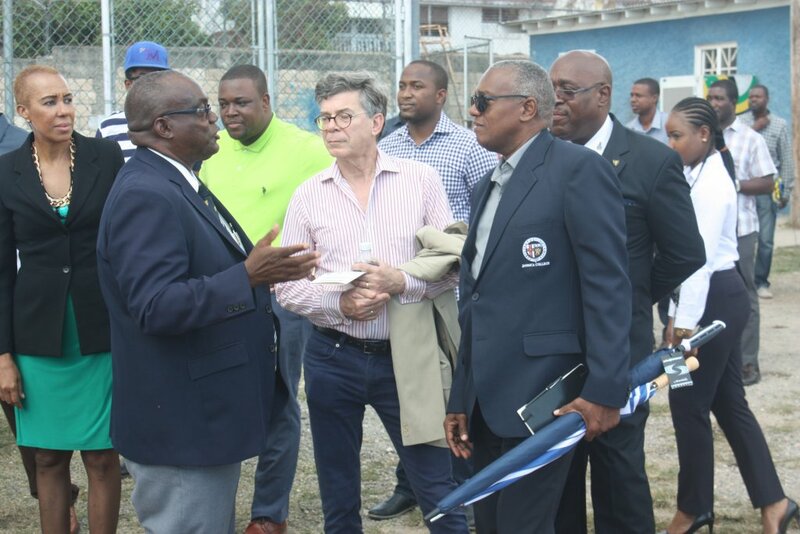 Principal Ruel Reid, amidst his exuberance, indicated that this lab and other near-future undertakings at the College are conscious efforts being undertaken by the institution to ensure students pursue viable career paths. 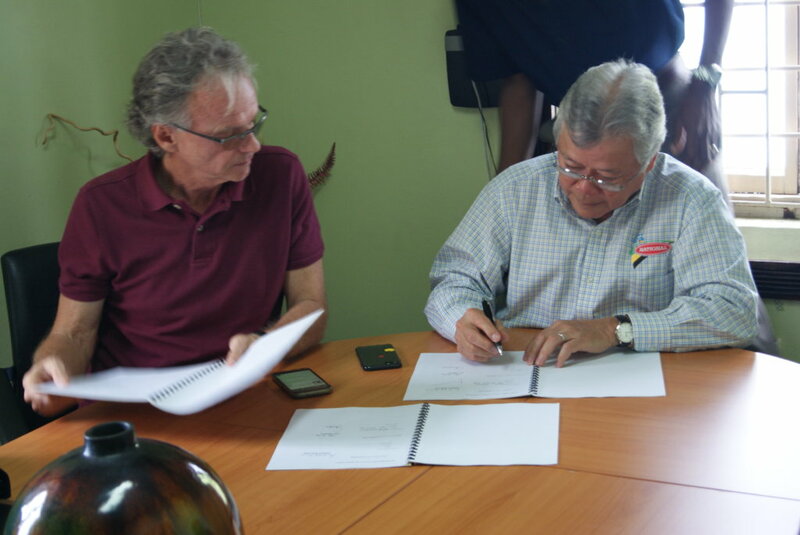 May 2015 will mark the inaugural sitting of the Caribbean Secondary Examination Certificate (CSEC) Food and Nutrition Examinations at Jamaica College. 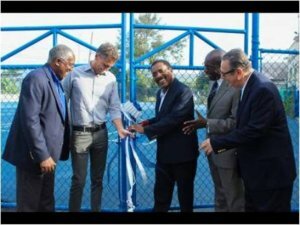 Sixth-form students at the prestigious all-boys” institution, Jamaica College (JC), are now smiling from ear to ear following a multimillion-dollar donation that saw the complete makeover of the institution”s sixth-form block. The money was a gift from Tara Abrahams-Clivio and Jason Abrahams in memory of their late father, Eric Anthony Abrahams. 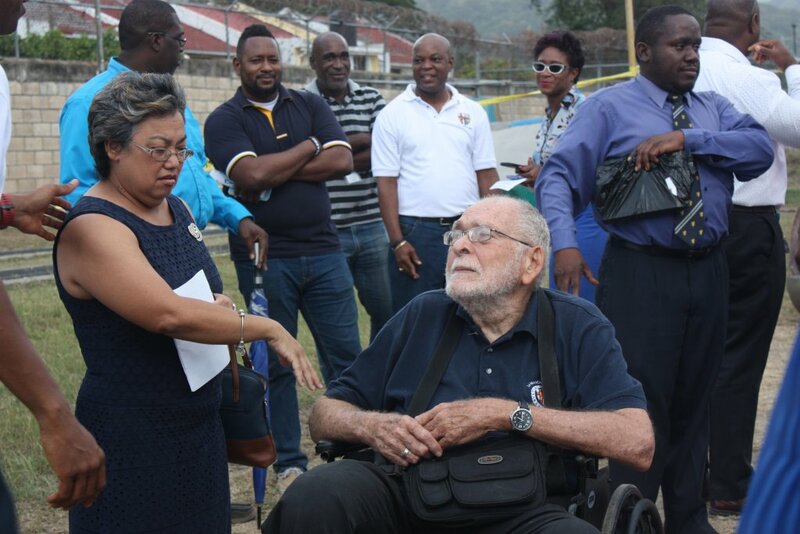 A former politician and broadcast journalist, Eric Anthony Abrahams has been recognised as one of the many brilliant minds who passed through the halls of Jamaica College. The project, completed last year, saw extensive upgrading work carried out to the infrastructure of the block. This included new furniture, the painting of walls, repairs to flooring, new fans, and the installation of both wired and wireless Internet service. Laptops and desktop computers – for use by both students and staff – were also purchased. 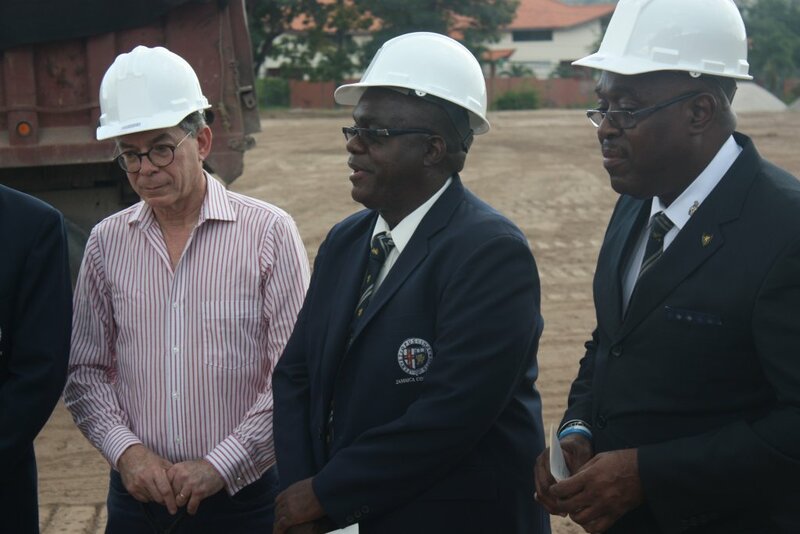 The sixth-form block was also named in honour of the late Abrahams. 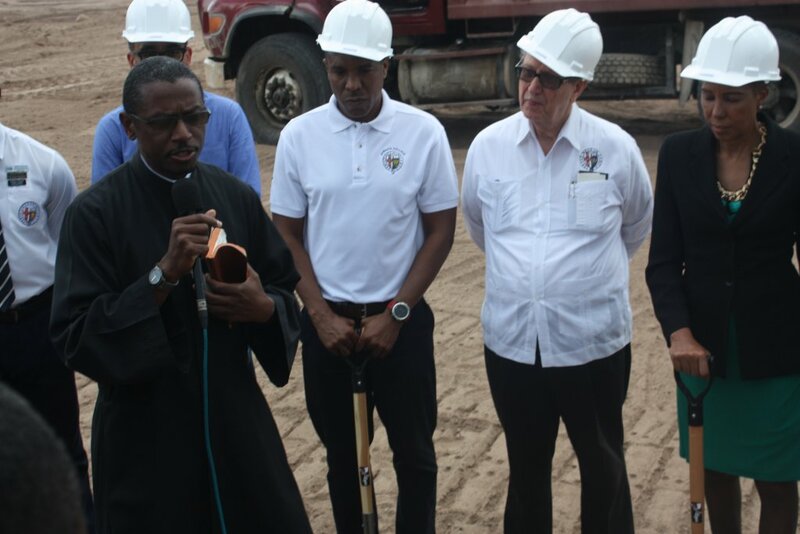 Addressing the dedication ceremony for the building on Wednesday, principal, Ruel Reid, described it as a worthwhile investment for the school and the future of Jamaica. 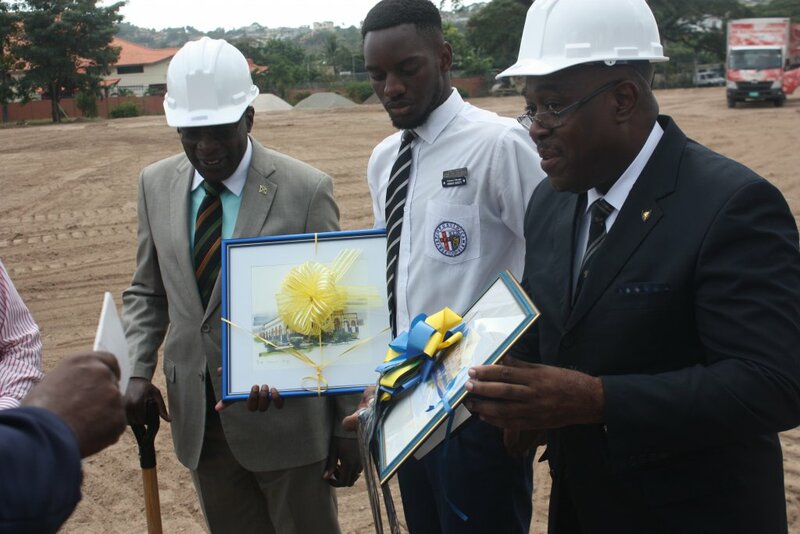 He said the sixth-form block now serves as a model to which students in the lower school could aspire. “We can hold it up bet online casinos with pride and say to all of you “This is sixth form. 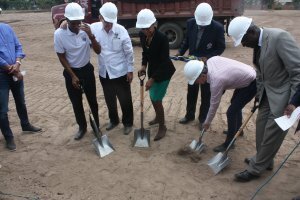 This is the best sixth form in Jamaica,” then all the other students will aspire to become sixth-formers. They will display those characteristics of leadership and excellence that all schools demand. 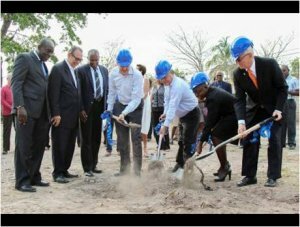 “This is an investment, and in spite of some of the negatives that are attached to Jamaica, certainly, as your principal and someone that has worked with you, I am so positive, so confident that we can inspire them to be the next generation of leaders that will take the baton and not only complete the transformation of Jamaica College, but indeed, transform this country,” Reid said. 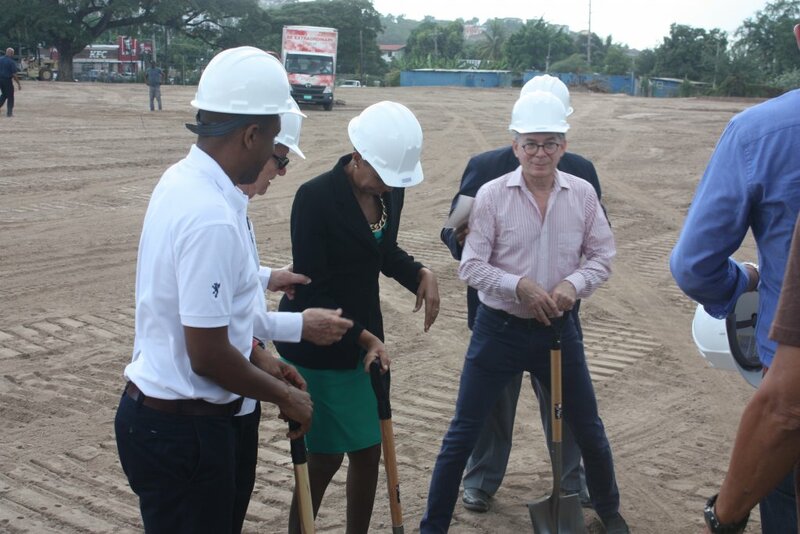 assured the son and daughter of the late Abrahams that their father would have been satisfied “with the choice of your project and the strategic objective of why we chose the sixth-form block”. He gave the commitment that he and his staff would honour the contribution. Jason Abrahams, in his address to the audience, encouraged educators at the institution to use the donation “to craft men of vision and reason”. He added: “I ask on behalf of my father that you teach your charges to think for themselves, to arrive at their own conclusions. “To the students, Tara and I only ask that you never stop questioning, never stop seeking answers, never accept the status quo. JC is a school that has a history of demanding more from its students, a place of education where students, in turn, demand more of their school. We ask that you all demand more of yourselves, of your leaders, and of your country,” he said. The oldest JC Old Boy that we are aware of, Henry George deRichmond Helps who attended JC from 1922-1928 died on March 8, 2013 in Georgia, USA, where he lived with his daughter. He was in his 103rd year. Hailing from Annotto Bay, St. Mary, Mr. Helps received a scholarship to JC where he boarded. There, he excelled academically and at sports, including cricket and football, and was on the winning Championship Sports and Sunlight Cup teams in 1928 (see attached photos). After working as an accountant with companies including Shell, Mr. Helps started his own petroleum haulage business, which he ran successfully for over forty years. 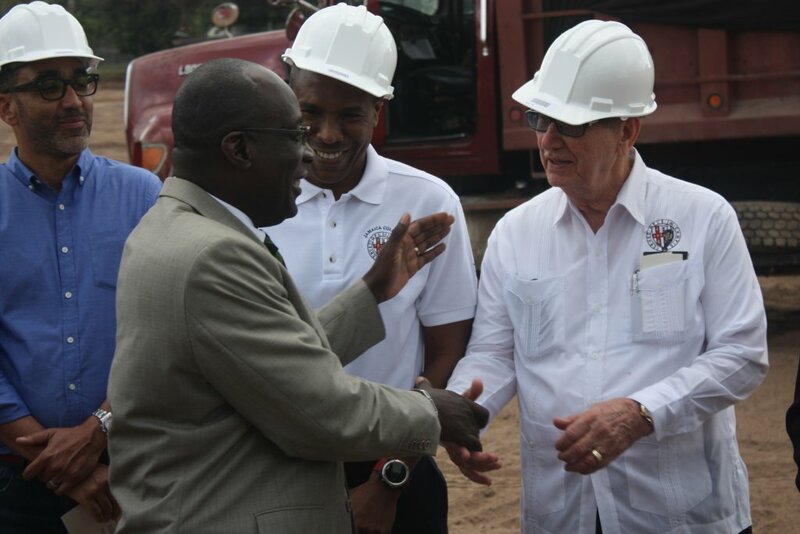 He was also a long time President of the Jamaica Petroleum Haulage Contractors Association. A gifted pianist, who played by ear, Mr. Helps often played in hotels and entertained friends and family at home. Throughout the years, Mr. Helps maintained an active interest in the progress of JC’s sporting teams, and was very often on the campus giving welcome advice to players. 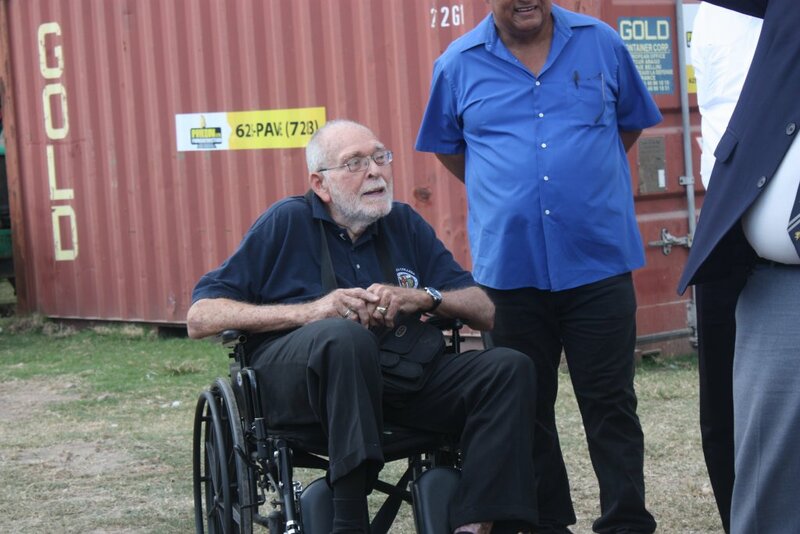 He was well known to all at JC for many years, and even on occasion assisted with transportation for team members to various fixtures. Mr. Helps was predeceased by his wife of 64 years and is survived by his daughter, a son, Henry, also a JC alumnus, who lives in Canada – henry.helps@sympatico.ca ,as well as grand and great grand-children.